Miss JoAnn Tyra, age 58, of Winfield, passed away on Saturday, February 16, 2019 at Diversicare Health care facility in Winfield. Miss Tyra was preceded in death by her parents, Siveler and Mable Thomas Tyra, three brothers, Thomas H. ”TH”, Roy Lee and Jimmy Thomas Tyra. JoAnn is survived by her children, Tyrone White and Tiffany Johnson both of CA, her sisters, Betty Wallace of Guin, Wimbreth Tyra and Mary Tyra of CA, and a host of nieces, nephews and other relatives and friends. Funeral services for Miss Tyra will be held on Thursday February 21, 2019 at 1:00 p.m. from the Bowen Funeral Home chapel, with burial to follow in the McCollum Family Cemetery near Bazemore. Visitation will be held from 12:00 p.m. until 1:00 p.m. (service time) on Thursday at the funeral home. Bowen Funeral Home serving the Tyra family. Mrs. Ida Lee Aldridge, age 91 of Brilliant, passed away Saturday February 16, 2019 at the Northwest Medical Center in Winfield. Mrs. Aldridge was a lifelong member of Mt. Pleasant Freewill Baptist Church in Brilliant. She was born January 24, 1928 to William Walter and Tura Elliott Westbrooks. She was married to the love of her life Mr. Ambers Aldridge, Jr for 58 years, during that time they raised two daughters, Beth Hawkins (Terry) of Brilliant and Ann Comforter (Rocky) of Port St. Joe, FL. She is also survived by her grandchildren, Robert Hawkins (Jason and Jake Atkins) of Jasper, Nick Comforter (Heather) of DeBarry, FL, and Julia Chrencik (Russ) of Winter Park, FL. She was preceded in death by her parents, her husband, and her brothers, G. S. (Buster), Raymond, Milbert, Hilbert, Odie, Clint, and Willard, sisters, Verlia, Rena, Lucinda, Stella, and Letha, and a special niece, Florene. 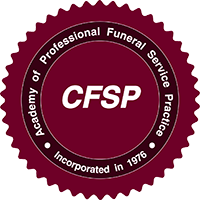 Funeral services for Mrs. Aldridge will be held at 11:00 a.m. on Monday, February 18, 2019 from the Bowen Funeral Home Chapel, with burial to follow in the Brilliant Memorial Gardens Cemetery. The visitation will be held from 10:00 a.m. until 11:00 am (service time) on Monday at the funeral home. Terry May will officiate. In lieu of flowers donations may be made to the Mt. Pleasant Freewill Baptist cemetery fund at the Citizens Bank of Winfield, or to the Brilliant Memorial Gardens cemetery fund in care of the Brilliant Lions Club, in memory of Mrs. Aldridge. Bowen Funeral Home of Winfield serving the Aldridge family. Mrs. Dorothy Jane Moore, age 90 of Winfield, passed away, Friday, February 15, 2019 in the Diversicare Healthcare Center in Winfield. Jane was born April 21, 1928 to Luther and Gertie Weeks Atkinson, she was a member of Bethel Baptist Church. Mrs. Moore is survived by her two sons, Tommy Moore (Dvina) of Winfield and Scotty Moore (Jackie) of Guin, grandchildren, Kevin Moore (Valarie) of Fayette and Alison Moore of Tuscaloosa, great grandchildren, Holly and Sarah Moore, step grandchildren, Dana Watkins (Mike) of Winfield, Jeff Stiles of Winfield, step great grandchildren, Jerica Galloway, Eleshia Bates, step great great grandchildren, Keliegh Stiles, Kadance Galloway and Kesley Galloway. She was preceded in death by her parents, husband, Harvel “Lacy” Moore and a sister, Mary Nell South. Funeral services for Mrs. Moore will be held on Sunday, February 17, 2019 at 2:00 p. m. from the Bowen Funeral Home chapel, with burial to follow in the Old Union cemetery near Wayside. Bro. Harry Saylor and Bro. Green will be the officiating ministers. The visitation will be held on Sunday, February 17, 2019 from 1:00 p.m. until 2:00 p.m. (service time) at the funeral home. Bowen Funeral Home serving the Moore family.